Shopping exclusively organic may reduce your risk of getting cancer by 25 percent, a new study suggests. Good news for all of you organic shoppers out there, a new study suggests that eating foods grown without the use of pesticides and synthetic fertilizers can offer protection from cancer. Now that might just make the higher price tag worth it, don’t you think? A study published in JAMA on Monday found that people who frequently eat organic foods have a much lower risk of developing cancer — specifically non-Hodgkin lymphoma and post-menopausal breast cancer – compared to those who rarely or never ate organic foods. The study, led by Julia Baudry, an epidemiologist at Institut National de la Sante et de la Recherche Medicale in France, examined the diets of nearly 69,000 French adults — mostly women in their mid-40s on average. Researchers grouped individuals based on how often they reported eating 16 organic products including: fruits, vegetables, meats, fish, ready-to-eat meals, supplements, condiments, oils and other products. Participants in the study were followed for about five years, during which 1,340 cancer cases were reported. The most prevalent cancers reported were: 459 cases of breast cancer, 180 cases of prostate cancer, 135 cases of skin cancer, 99 cases of colorectal cancer, 47 cases of non-Hodgkin lymphomas. With this information, Baudry and her team were able to calculate cancer risks, or lack thereof. 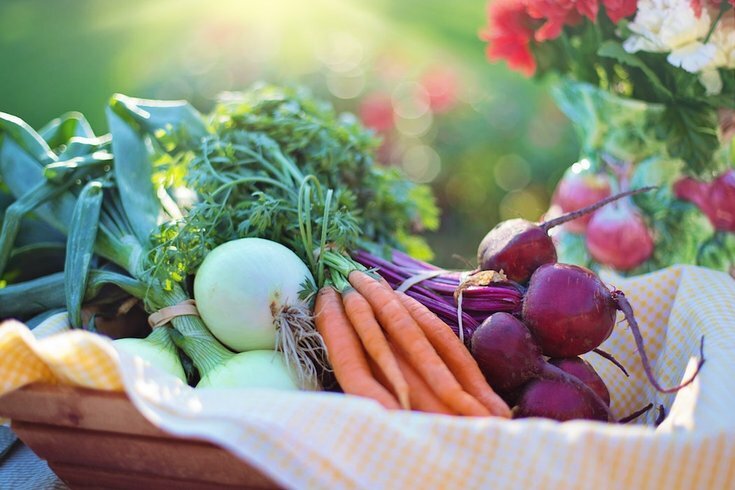 The participants who ate the most organic foods were 25 percent less likely to develop a cancer — more specifically, 73 percent less likely to develop non-Hodgkin lymphoma and 21 percent less likely to develop postmenopausal breast cancer, CNN reports. According to CNN, the authors believe a "possible explanation" for the relationship between organic food and a lower cancer risk could be a result of the "significant" reduction of contamination that occurs when conventional foods are replaced by organic foods. In the general population, low-level pesticide exposure is widespread, and the primary route of exposure is diet, especially intake of conventionally grown fruits and vegetables. In the United States, more than 90 percent of the population have detectable pesticides in their urine and blood. If you’re still weary of the whole organic food thing, a great way to start would be following the “Clean 15” and “Dirty Dozen” shopping lists — which outline the 15 produce items that typically contain the least amount of contamination and the 12 that you should always buy organic due to high pesticide contamination.